The next part of your quest is getting three pearls, and the first is Din's Pearl. 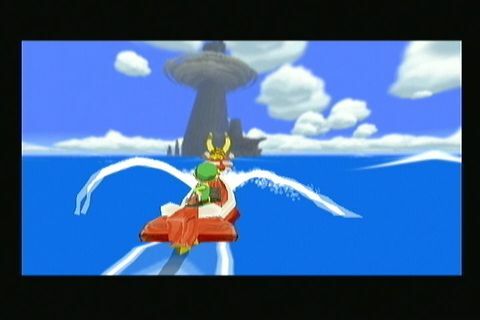 You will wake up on Windfall Island in a talking boat, the King of Red Lions. He will tell you how you need to save your sister (and the world), and advise you to depart. Unfortunately he has no sail, so you must get one. Head through the stone arches by the docks. Follow the road until you see Zunari, a man in a parka, behind a counter. If you have 80 rupees, talk to him and buy what he sells. If not, head back on the wall behind the man and you'll find a little dock area. Break the pots for some rupees, and if that still isn't enough, go around slashing bushes on the island to get more rupees. When you get 80, buy the Sail from the merchant. 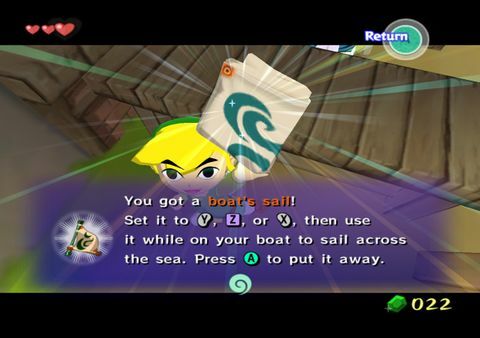 Link buys the Sail from Zunari. After you buy the Sail, keep heading up the hill until you get to the stone building on the northwest area of the island. The entrance is located on the outside wall of the city. Open the wooden door on the building. Inside you will find a small man named Tingle who is locked up in a prison cell. Step on the nearby switch to free him to receive the Tingle Tuner and Tingle's Chart Tingle's Chart. Go into the open cell. Pull the crate aside to find a secret passage. While avoiding the hazardous wooden floor sections, crawl through the passage until you get to the end near the back and right of the maze. There you will find the Picto Box. You may leave the maze either by the main entrance, or by entering the trap to drop next to where you first encountered the King of Red Lions. 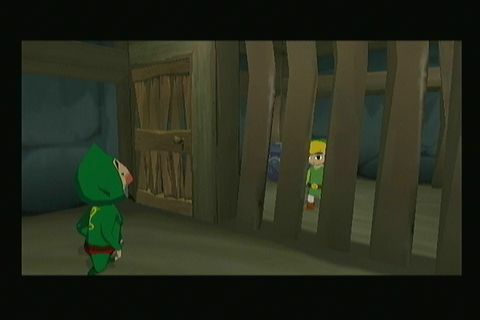 Free Tingle from his prison cell. Head back to the King of Red Lions and equip the Sail. Your new red friend will proceed to teach you how to sail. 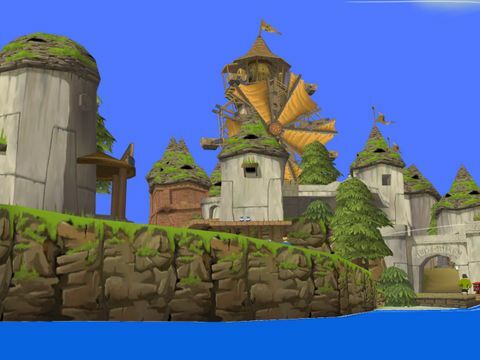 After learning how to navigate the sea, set sail for Dragon Roost Island. Follow the wind, as it will lead you toward the large pillar-shaped island on the horizon. Occasionally you may find some rupees atop barrels, but it is mostly a simple ride to Dragon Roost Island. HD version: On the Gamecube, you can go straight to Dragon Roost Island after buying a sail from a merchant, Zunari. But on the HD, you're going to have to free Tingle first because of the online feature through the man or fairy himself. Also to sail. you now just press instead of using the item to put the sail up and down with the item button. Set sail for Dragon Roost Island. This page was last edited on 17 April 2014, at 16:07.